Memorial Day Magazine Blowout Sale! Top Titles at HUGE Discounts! Right now, you can grab some great titles for as low as $4.95 in this HUGE Memorial Day Weekend Magazine Sale. 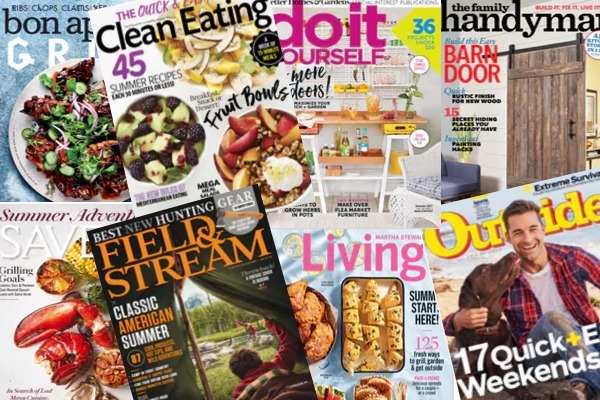 Such a great opportunity to grab deals on subscriptions to your favorite magazine titles, and this sale features over 200 titles starting at under $5 each! You can go here to see all of the titles included in this sale! No coupon codes needed! You can purchase magazine subscriptions as gifts, for yourself or even to renew existing subscriptions. This sale will end May 30th, 2018, at midnight EST. The magazine deal ended at 12:59 AM, so it’s already over.